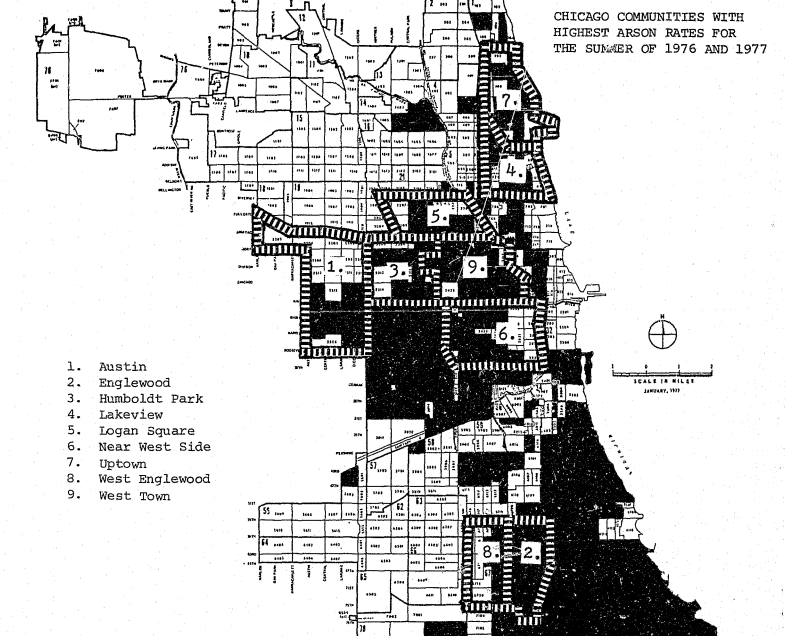 LUCHA was founded in 1982 to stabilize the neighborhoods of the Northwest side of Chicago and to champion the housing interests of community residents. Outlined below are the strides LUCHA has made since then to meet the changing housing needs of the residents and communities it serves. Between 1982 and 1986, a considerable number of abandoned buildings and empty lots were located in the community. Arson was widely used for profit and absentee landlords owned most multifamily properties in the area. Organized residents to demand that the Department of Inspections fine slum landlords. Organized residents to purchase, clean and/or landscape empty lots and received citywide recognition and various awards for this work. Stimulated the development of local housing stock by responsible landlords and local developers. Developed more than 100 units of affordable rental housing. Between 1987 and 2001, local banks were not investing in LUCHA’s service areas. According to research by the Woodstock Institute, lenders were discriminating against Latinos, African-Americans and other minority mortgage seekers. During this time, there was a lack of affordable rental housing and minority tenants experienced discrimination when seeking out available rental units. Latinos tended to be excluded from public housing and Section 8. Many buildings did not meet basic habitability standards. Used mortgage disclosure data to identify lenders who were poor performers and organized community residents to demand these lenders change their business practices. Negotiated two mortgage programs, which directed $20 million to minority/Latino homebuyers. Assisted in 20 lenders joining the reinvestment program and 100+ residents per year becoming homeowners. Began developing and managing rental housing, including the Borinquen Apartments, 1414 N. Washtenaw, and Humboldt Park Residences (HPR), totaling $7 million in assets. Participated in and won a class action lawsuit against HUD and the CHA. Between 2002 and 2007, significant sectors of the communities served by LUCHA were excluded from the affordable housing market. Single mothers represented more than 20% of all households seeking affordable housing. Rising energy costs forced many owners to sell and move out of the neighborhood. A significant number of Latinos sought to buy homes in the target areas, and bank lending increased significantly. Organized single mothers to plan and advocate for the Madres Unidas project. Obtained financing and developed 36 units of affordable housing. Recruited 5000+ Latinos to apply for public housing and Section 8. Helped 200 residents/year reduce their gas bill by 20%. Counseled homebuyers and helped close 150 affordable mortgages. Between 2007 and 2008, subprime loans and inadequate lending controls existed and predatory lending and foreclosure caused tremendous instabilities in the financial markets. Many areas lacked affordable housing, but housed hundreds of empty lots and abandoned buildings, or homes that need substantial rehab. Political leaders controlled and excluded community residents from development planning and resource allocation. Partnered with IIC to conduct research on housing needs. Organized residents to plan the development of their communities. Advocated for money to rehab existing properties ($18 million). Organized African-American and Latino residents in Humboldt Park to advocate for resources to develop their communities. Helped obtain $10 million, which was allocated to develop housing in Humboldt Park. Improved the condition of LUCHA’s properties. Strengthened its Property Management services and increased occupancy (85+ occupancy). Advocated for better lending practices and to stop predatory lending. Helped local homeowners make emergency home repairs. From 2009 to 2014, the economic downturn in Chicago and in the nation resulted in an overwhelming number of foreclosure filings. Moreover, deferred maintenance of LUCHA assets resulted in the need for the planning and rehabilitation of several LUCHA properties. Gentrification of core LUCHA neighborhoods posed threats to its residents and LUCHA’s operating capacity. Lastly, the transition to LUCHA’s first new Executive Director in over 30 years required new organizing and networking efforts, as well as a renewal of organizational and team strategies. Partnered with Freddie Mac to house the Borrower Help Center, serving 3,000 clients annually throughout the Midwest. Changed Lending Department name, personnel and focus to reflect Housing Counseling and Advocacy. Completed the consolidation and rehab of Borinquen Bella Limited Partnership ($12 million). Re-organized Property Management and Asset Management functions for streamlined services. Organized community residents to support LUCHA’s Tierra Linda Development. Created the LUCHA Law Project to serve residents with fair housing outreach and other legal services. Created new marketing and media initiatives, including first annual Masquerade Gala event. Renewed and strengthened partnerships with residents, elected officials, donors and other stakeholders. Presently, LUCHA has focused on reinventing itself to better pursue its mission of advancing housing as a human right. The background to this progress has been an increasingly challenging political climate, and a newfound commitment to developing communities in an environmentally sustainable way. Chicago saw a steady decrease of foreclosures during this time — a result, undoubtedly, of LUCHA and similar organization’s housing counseling work. However, the housing market became difficult in other ways. The city saw the intensification of gentrification in LUCHA’s service areas, evidenced by skyrocketting rents, property taxes, increased luxury development, and the departure of thousands of working class families in LUCHA’s service areas. LUCHA identified a need for affordable housing and housing services which could allow families such as these to remain in their neighborhoods without having to compromise their health or quality of life. Planned and closed on Tierra Linda, a $17,000,000, 45-unit affordable rental housing development built to green standards. Developed a Community Health Action Plan to improve health outcomes for residents of LUCHA’s service areas. Hired a Health & Wellness Coordinator to implement the Community Health Action Plan and lead LUCHA’s Health & Wellness programming. Expanded its Housing Counseling & Advocacy Serves to include Financial Empowerment and Credit Counseling. Lobbied for the continuation of funding for Foreclosure Mitigation and Housing Counseling Services at the state level. Advocated for policies which allow for the preservation of affordable housing, including a demolition tax on buildings near the 606 Trail and the equitable re-development of CHA’s Lathrop Homes units. Re-instated Project Jumpstart in partnership with the Department of Justice, a transitional housing program for survivors of domestic violence.